Looks like Joseph Khan is willing to share a lot of his React Native examples apps in his ReactNativeExamples repo. 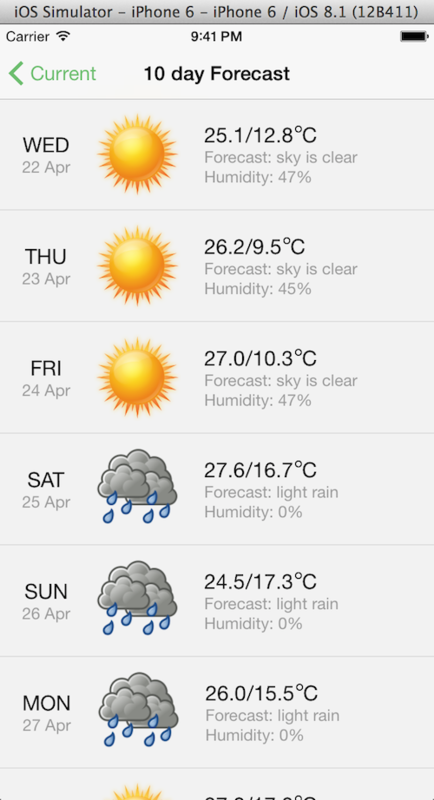 Today he started with an interesting approach to a WeatherApp making use of the OpenWeatherMap API. From the same repo, there's also a DegreeComponent.